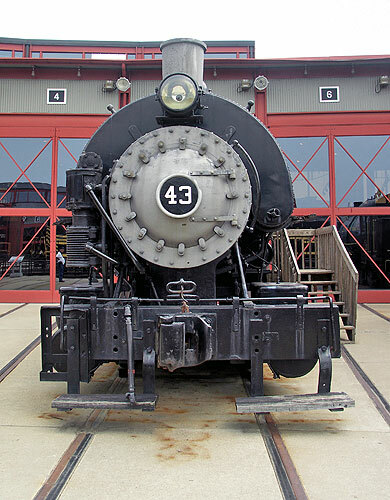 New Haven Trap Rock Company number 43, a 0-4-0T Saddletank steam locomotive, was built by Vulcan Iron Works, Wilkes-Barre, Pennsylvania in 1919. Less than 50 0-4-0T locomotives survive in the United States, including the New Haven Trap Rock Company engine No. 43. They are scattered rather widely around the country in railroad museums and on tourist railroads and are also exhibited in small parks. In August 2006 this one is on display at the Steamtown NHS in Scranton, PA.